This topic contains 0 replies, has 1 voice, and was last updated by Andy Sawers 1 year, 12 months ago. What a thrill it was to see an actual copy of Kepler’s Rudolphine Tables in the recent visit to the Caird Library. 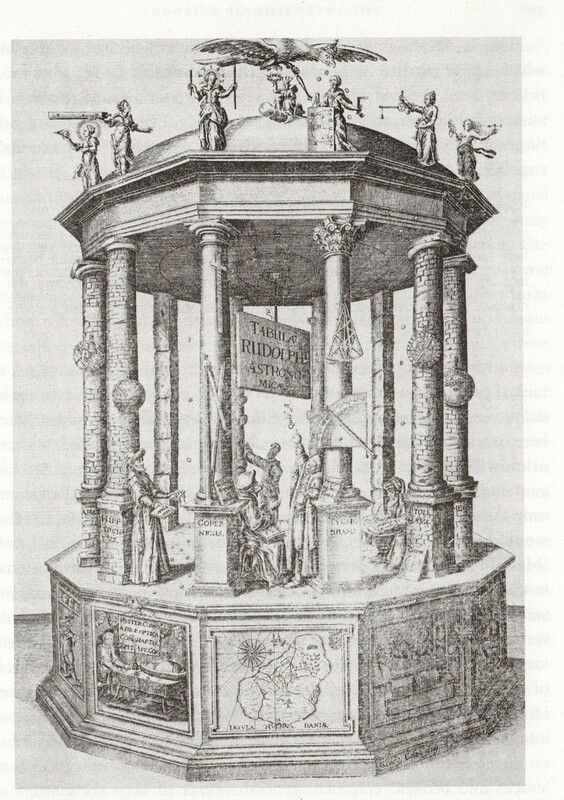 One thing which I hadn’t noticed at the time, but which I’ve very recently read in a book called The Invention of Science, by David Wootton, is some of the extra symbolism in the frontispiece of the Tables. I’ve reproduced the key comments below, highlighting the most significant symbolism that I didn’t spot at the time. “The figures, from left to right, are the astronomers Hipparchus, Copernicus, an anonymous ancient observer, [Tycho] Brahe and Ptolemy, each surrounded by symbols of his work. “The pillars in the background are made of wood; those in the foreground of brick and marble, symbolising the progress of astronomy. “Astronomical instruments designed by Tycho Brahe serve as decorations. The figures on the cornice symbolise the mathematical sciences, with Urania, the muse of astronomy, in the centre.